Wear this bracelet always and you can discover the Art to Luck. A feather symbolizes being a warrior and can give you the strength and courage to accomplish everything you desire. 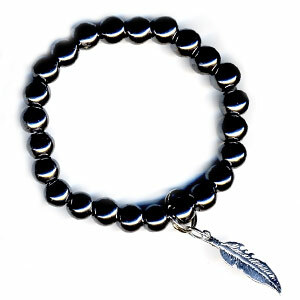 Hematite can attract positive energy into your life and bring you a lifetime of happiness, joy, bliss and many beautiful moments that you will cherish forever.